App works pretty well. Wish the number pad was larger when entering times. The divisions don’t match up with Steel Challenge though. No Production. No Long Gun (carbine). This is a great app. 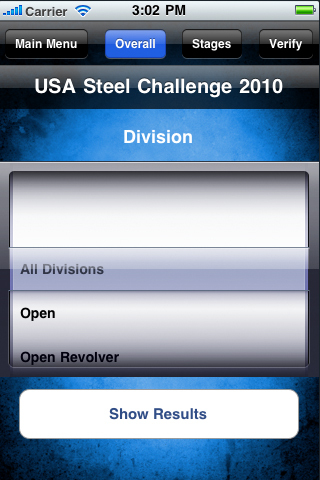 I am curious why you didn\'t put in the divisions to match steel challenge? Is this coming in a future update? Hope to see an answer posted soon. 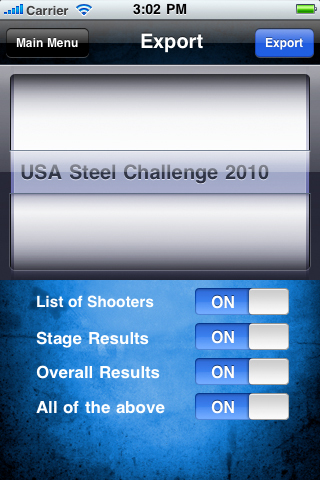 Thanks Brian DAA Reply - All the steel challenge divisions are listed on the app. Love this app, It makes scoring a match a breeze!!! shooters love that the their scores are e-mailed to them. For a limited time only - HALF PRICE! Only €7.99 or $9.99. 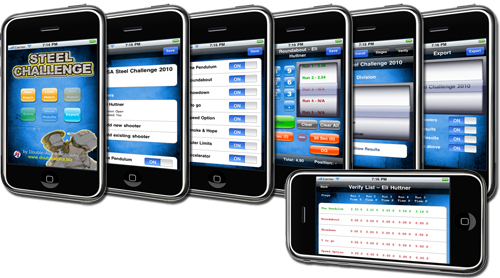 OurSteel Challenge iPhone and iPod Touch application is available for purchase on the App store! Get your copy now for €15.99 or $19.99. The application you have all been waiting for! The perfect hand-held scoring system for Steel Challenge matches and training sessions. 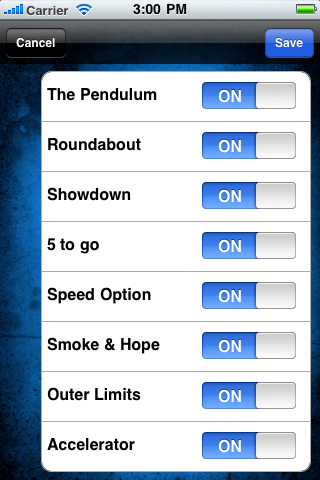 Create a match in seconds, enable/disable stages as you wish and add shooters. You can track your practice sessions with unlimited data storage and export results to your buddies by a touch of a button. Have a local match going on? not a problem! Add as many shooters as you wish and keep track of all simultaneously. - Virtually unlimited storage space (will last you for a life time of practice sessions and matches!